The post title is a pun!! Do you get it? 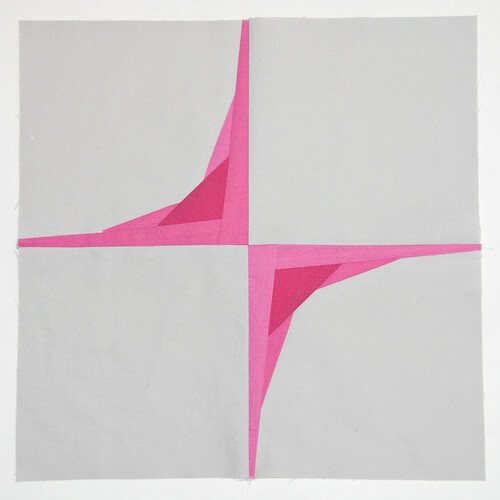 This post is about graphs that make cool graphic quilts! So I got up and drew up this template in Illustrator, as well as couple possible quilt layouts that you can print out and color! 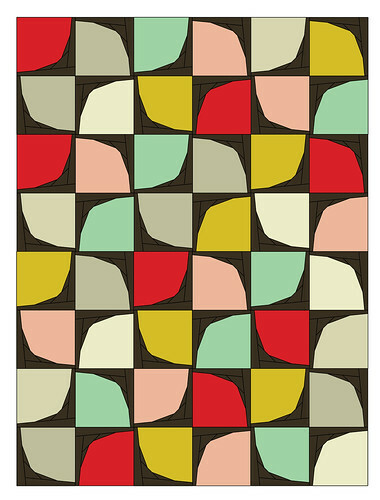 The quilt block is paper pieced, but I think it would be cool if you just winged it and made it wonky. 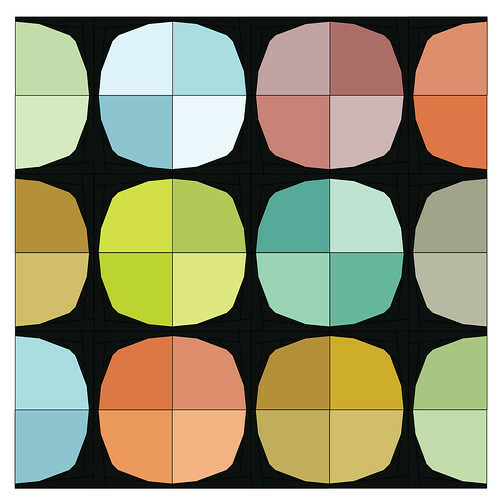 Just start with a 6.5" square of background color and piece on rectangles in the same order as the paper pattern. I'm super obsessed with pulling colors from photos now, so here are a few color combinations that I've been playing with. Dude, i love the way your mind works. LOVE the last one! Fabulous! Seriously, you and Angela are a match made in heaven! I too love the last one! I love this pattern. Thanks for making it available. I was sketching something sort of similar about a month ago and couldn't get what I was thinking in my head on paper. Well, you did it for me. Awesome! 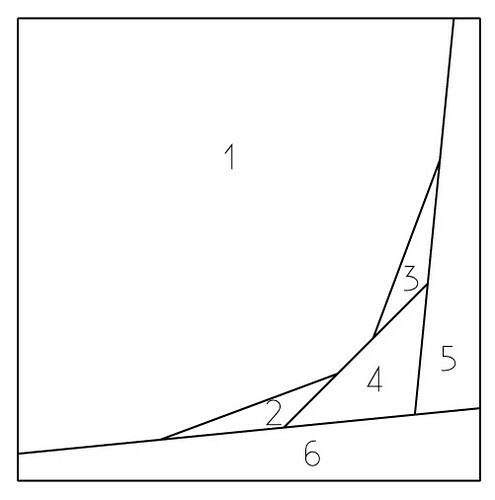 can't wait to see more equations popping up on your blog! love it! Okay, so I'm super late on this one.... but this block is amazing and I'm so glad I stumbled upon it. Thank you so much for the free pdf! absolutely gorgeous! 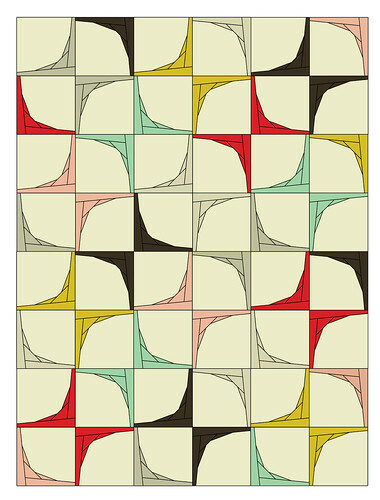 i would love to make a quilt using the pattern on the bottom right. i like to pull inspiration from photos as well. thank you for sharing this and making it accessible to the public! You are a treasure for sharing this. love the pattern this creates.